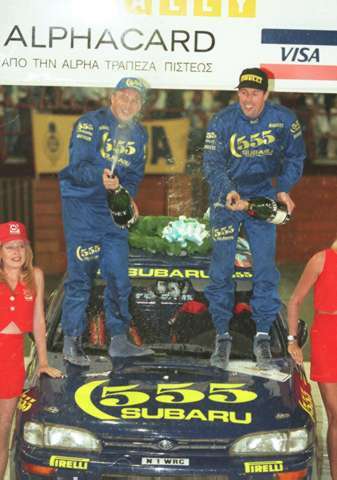 Win was 6th win and 12th podium for Colin McRae. Second place was 5th podium for Tommi Makinen. Third place was 41st podium for Carlos Sainz. Win was 10th win and 31st podium for Subaru. Second place was 34th podium for Mitsubishi. Third place was 98th podium for Ford. Past woes are forgotten as Colin scores resounding win, having led from start to finnish.